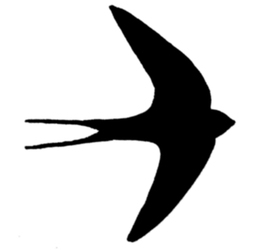 If like me, you’ve wondered if that is a swift or a swallow flying overhead, this may help. I pulled out the differences from online sources, and then cross-checked them with The Book of Indian Birds (Salim Ali, Thirteenth Edition). Guess what. There are enough exceptions to shoot some of these rules out the window. Here it is anyway, for what it is worth. I have encountered two experiences over the past as many weeks, both which have been deeply impactful. The first was the reading of a remarkable book – Of Birds & Birdsong – by M. Krishnan. The second was the attending of the 3-day Naturalist Training Program run by Jungle Lodges and Resorts (JLR). I’ll post a review of the book shortly; this post is about my impressions of the JLR program. The NTP is run by S. Karthikeyan, the Chief Naturalist of JLR, a much-revered man with a formidable reputation. Karthik’s thirty years of work as a naturalist in some form or the other mean he’s notched up the ten thousand hours that Malcolm Gladwell talks about, five times over. He is therefore extremely knowledgeable. In addition he is a naturally gifted teacher, sharply observant and articulate, and this had a strong bearing on the pedagogy of the course. It was a deeply fulfilling experience to spend almost three full days in Karthik’s constant company. I’ve been hearing about the NTP for many years now. A couple of months back, a birding and photography hobbyist I met in K. Gudi (BR Hills) gave me information on how to register. The NTP program has been running since 2006, and has seen over twenty batches so far. It is a program with a reputation – so much so that registrations get filled to capacity within a few minutes of announcement. I got lucky and was one of the few people who’d managed to get on the program within a few weeks of registering my name. The program runs for two and a half days at the Bannerghatta Nature Camp of JLR. Mornings and evenings are utilized for short forays into the surrounding forest, and the day is spent in classroom sessions. The sessions seek to give participants an appreciation and understanding of biodiversity, birdwatching skills, plant-animal interactions and conservation. There is a lot you can learn in this classroom, regardless of the degree of seasoning you possess as a nature enthusiast. There is a general de-emphasis on the typical fascination with “charismatic megafauna”, and a keen emphasis on encouraging appreciation of the more modest critters around us – flora, lichens, fungi, insects, amphibians, and suchlike. There is the usual JLR tradition of film-screening in the evening and in terms of creature comforts, it is the typical JLR experience. We were a small class of 17. There were three techies, two doctors, a wilderness resort manager, a student, a WWF employee, a housewife, a financial consultant, and so on. A very diverse group with one strong commonality – an avid interest in the natural world. And over the three days, we became a fairly close-knit group. Karthik has a delightful tradition of getting each participant to assign a natural world nickname to her/himself, and this was the handle we used for each other, for most part. One of the big advantages of the program lies in fostering this networking with like-minded people. I know of people from early NTPs who continue to nurture strong friendships and collaboration with their batch-mates. The class did four field walks in all, mornings and evenings. Focus was on the development of systematic field/observation skills, rather than in familiarizing the class with the resident avifauna. And the stage for this line of approach was set with a seemingly simple question Karthik posed – how do crows and mynas locomote while on the ground? Something we’ve all seen very many times. And yet, no one was really sure. We hadn’t really noticed. Do they hop? Or walk? Or is it a combination of the two? For me, photography exacerbates this degraded sense of observation. Caught up in judging the light, composition and trying to capture something interesting, there is no bandwidth left to really look at the creature. So what is the antidote to this blindness? Sketching! Frederick Franck, in The Zen of Seeing wrote “I have learned that what I have not drawn, I have never really seen, and that when I start drawing an ordinary thing, I realize how extraordinary it is…’ Karthik took the class out into the field and made us sketch every bird we encountered. Capture detail. Where is the little white streak placed? Does the black stripe run all the way around or not? I realized that there is so much that we have looked at and not really seen. Memory that aids observation had atrophied from underuse. I had to refer back and forth in multiple iterations to transfer what I saw onto paper. And this is for common birds I have seen scores of times. The real value of using a field notebook with sketches and comments to aid systematic observation was brought home very vividly to every person in the class. 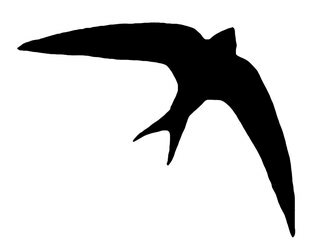 I also realized that it isn’t a good idea to use a camera as an ID’ing tool – capture a picture and ID the bird (or animal) at leisure, later. This does two things to me – one, it impedes keen observation – there is simply no need to expend effort in careful scrutiny with a nice RAW image up-close in the bag. Second, I find that after I ID the bird, the identification doesn’t really register. In any case, there is not much point in going on a spree of simply spotting and identifying, and doing little more than just that. That is about as mindless as counting cars on a highway by way of leisure. One, I’m more aware now of staying clear of the mindless ID’ing trap it is easy to fall into. Birding trips were miniature versions of the Big Year – you spotted a bunch of birds, ID’d them all, made a list, and felt good you knew so much. You were happier if you saw forty species, and not so happy if you saw just three. And you were ecstatic if you spotted something out-of-the ordinary. A Blue-faced Malkoha. Or a Green Imperial Pigeon. The book review of Of Birds and Birdsong will come back to this theme. Krishnan spent hours watching crows, mynas and bulbuls. The more commonplace the bird, the more time he spent making original, keen, systematic observations. His sense of curiosity, ability to observe detail and patience are staggeringly impressive and inspiring. Compare this with running around on an ID’ing spree. See what I mean? It is important to be able to identify birds, or for that matter mongooses or butterflies, but stopping with just ID’ing ability would be stunting one’s development as a naturalist, completely shorn of depth. Two is what I’m thinking now about photography. I already talked about photography limiting my ability and inclination to observe. Going further, I found myself asking the question as to why I want to get another picture of that Kestrel or Blue Jay when thousands of people have already captured a gazillion images and posted them online? Is it just so I can post the gazillion-and-one-th image on INW or someplace and feel good when people respond with TFS, nice capture or great shot? I’m getting to Tadoba next month. Perhaps I’ll try switching to binoculars in lieu of camera, and sit back and enjoy myself simply observing. BIL and nephews will be capturing all the images we’d need for posterity in any case. I’ll lug my camera along alright, but it’ll probably sit on the seat beside me and stay there. Will keep you posted on how that experiment goes. Three is a desire to increase my scope of indulgence as a naturalist, beyond just Mammalia and Aves – trees definitely, reptiles and butterflies too perhaps. And expand this out gradually over time. Karthik pointed me to a tree walk this weekend, but I’ll be traveling and will miss it. Four may sound rather strange. I experienced pleasure at watching a bird at work for the first time. Something I’d have earlier associated with watching Munna or Machli, or an elephant perhaps. There was this Pied Kingfisher fishing that we watched for a while, and I believe I could now amuse myself watching him for hours on end, with a good pair of binoculars. Five is not something that the program itself engendered, but after the experience, I do feel a more intense desire to contribute meaningfully in some small way, to either conservation or natural science. I’ve requested Karthik to bookmark this mentally and point me to some relevant opportunity. If you have any sort of serious interest in the natural world, this program is very likely to change the way you think. If you are a birder, wildlifer or any sort of naturalist, you are missing out on a truly remarkable opportunity by not signing up. And while you do that, I’ll run along and buy myself a nice pair of binoculars and a sharp pencil or two.